When we moved to South Carolina, I knew something was wrong with my right breast, but brushed it off as a cyst. For the next six months to a year, I continued to ignore it. God put several people in my path, and ignored His gentle nudges as well. One day, He threw someone right in my face. I could no longer ignore the problem, and called the doctor the young lady had recommended. My family and I moved to Mt. Pleasant, South Carolina in June of 2013. I started Premier in October of 2007 because we needed extra money, and I didn’t want to get a second job, which would require me to have yet another work schedule. I already worked full time in an insurance agency. The doctor’s office said I could come in that day or the next to get checked out, but my daughter’s birthday party was coming up and I didn’t want to think about bad news on her day. I knew in my heart that it was cancer. I finally went to the doctor and had a biopsy. The doctor said he was 99% sure it was cancer, but that the office would call me the next day with the actual results. 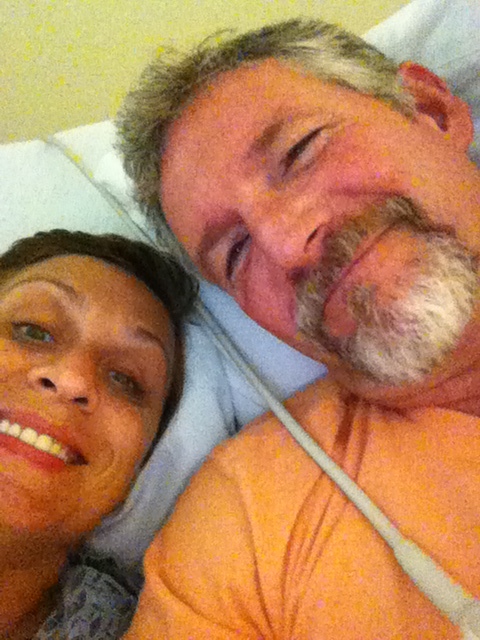 On Monday, September 16, I was diagnosed with Stage 2, close to Stage 3, breast cancer. My strength comes from the Lord first, but I will tell you that my husband and family were FABULOUS. All the Hostesses, customers, and friends that I’ve met through Premier kept me lifted up constantly! I have a box of cards and notes to prove it! I also had my sweet bestie from Indiana, Tracey (pictured left), fly in to sit with me at one of my chemo appointments and then lounge around with me on the couch for a couple of days. The best advice I received was that it would take time to get back to where I started, but that I would be a much healthier person. I was also told to REST! I still did 91 shows the year I was diagnosed—I didn’t listen very well! But my God knows me oh-so-well, and He knew that I needed to stay in somewhat of the same pattern. He also knew I needed to be around loving women, playing in shiny things, and making them laugh! I strongly suggest that if you’re diagnosed with breast cancer, you declare right then and there that this is NOT your cancer to keep or your battle—it is your Heavenly Father’s! He has won the victory and will take care of you. Never claim a treatment as “bad.” Chemo is not poison—it is a gift from God who created these doctors with the wisdom to develop all of these treatments as part of our healing! I am currently feeling GREAT! I am back on track, loving life, and I’m very, very thankful and blessed! YOUR FAMILY & FRIENDS ARE HERE TO HELP! Sonja, you are a pillar of strength, and you have glorified God throughout! God has used you and continues to use you mightily to encourage and uplift others. Thank you for sharing with us! (Love the photos too!) Continued blessings to you. Sonja, you have been an inspiration to me since having met you in 2013. I didn’t know then that I would need someone to look to and inspire me as I now walk through my own “storm”. I was diagnosed with End Stage Renal Disease and need a kidney transplant. I know this diagnosis is not a surprise to my God. Sonja, if you can do it, so can I!! You are a blessing to many! By hank you for sharing! !